Midwifery soon became an established part of medicine and in turn the medical men of Manchester embraced the practice and teaching of midwifery as is evidenced through the proportion of volumes in the Medical Manuscripts Collection relating to the subject. These include lectures given by individuals such as Thomas Young, Thomas Pole, John Haighton, Thomas Denman, and Andrew Thynne as well as academic essays and more practical case books and records of births attended. 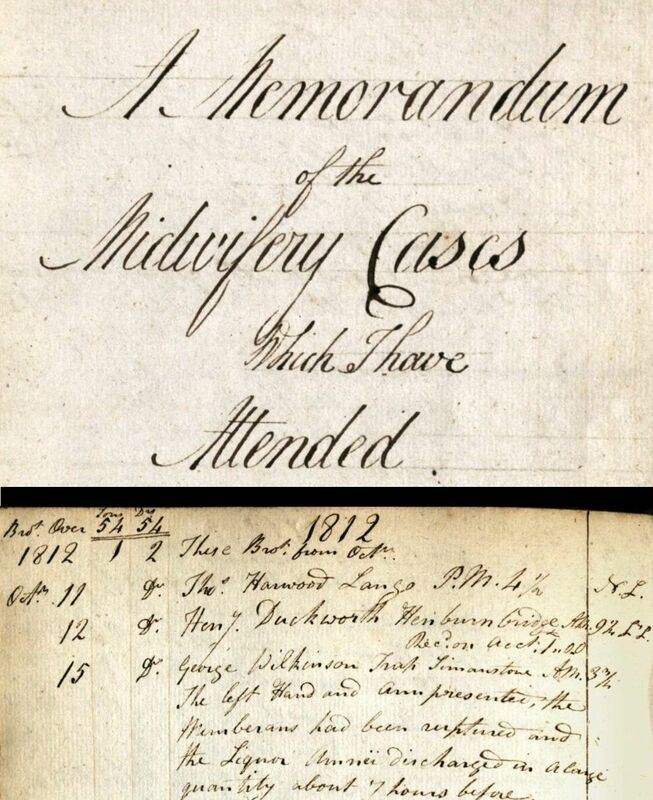 Amongst this latter group of manuscripts can be found a volume entitled ‘A Memorandum of the Midwifery Cases Which I Have Attended’ by Richard Hardy, a Lancashire physician working in the area north east of Blackburn. Covering the period 1794-1832 he often describes in detail some of the more difficult cases and we get a great insight into the attitudes and practices of the early 19th century man-midwife.